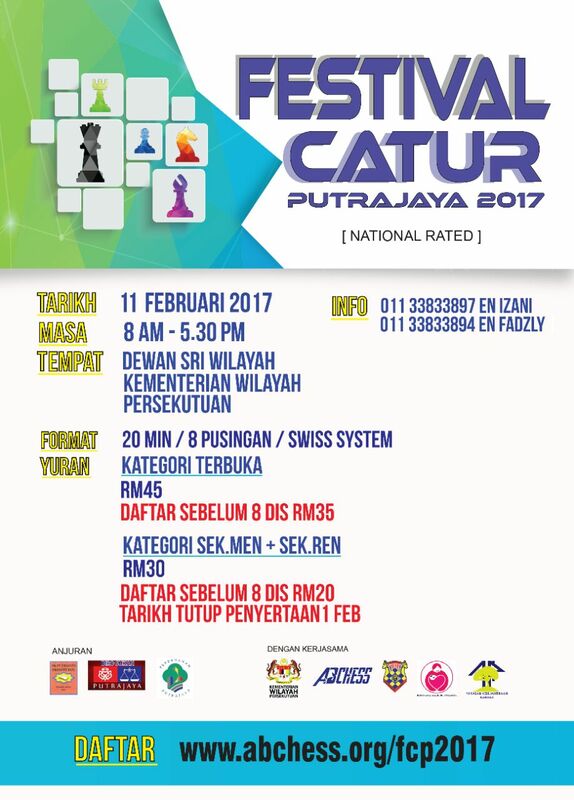 Festival Catur Putrajaya 2017 or 2017 Putrajaya Chess Festival (National Rated) will be held on 11th February 2017 (Saturday ). The tournament is organized by Sekolah Kebangsaan Putrajaya Presint 18(1) and Kementerian Wilayah Persekutuan. 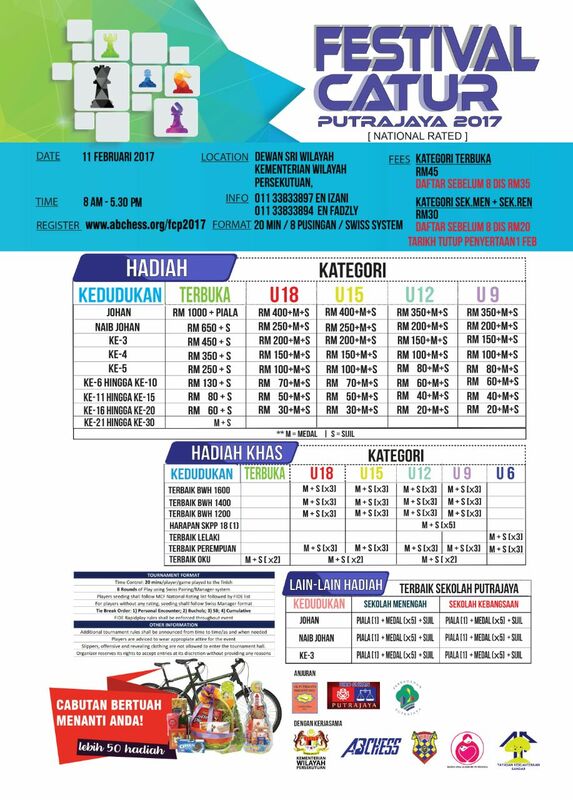 There are big prize money to be won in each category and winners also will be given medal and certificate. 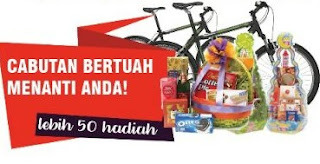 Attractive lucky draw prizes will be given during the tournament. The total prize fund is about RM 20,000.